There are many kinds of adrenal cancer diagnosis methods. 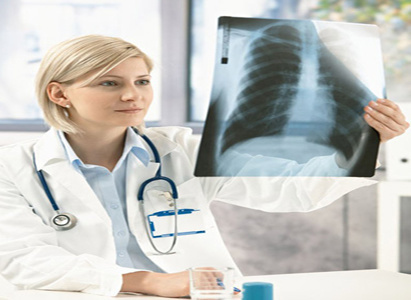 Only with proper examination methods chosen according to different symptoms of patients, can we accurately check out the condition and get accurate diagnosis results, which are of great help to treatment. 1. CT examination: Further diagnosis of adrenal cancer. Factors that affect CT diagnosis of adrenal cancer include the size of tumor, whether the perirenal fat is rich or not, and whether the density of mass is close to the nearby fat, etc. (1) Adrenocortical carcinoma: rare, mostly happens to women between 30 to 60 years old. CT performance: lobulated tumor with diameter less than 5 cm, irregular outline; vague edge, adhered with surrounding organs; equidensity or low density, especially low in central necrosis liquefaction; A few patients have scattered high density calcified shade around the lesion or in its center; possible metastasis in nearby tissues. (2) Metastatic adrenal cancer: the most common primary cancer is lung cancer and breast cancer, followed by cancer of stomach, colon, and pancreas, etc., which often have no symptom. CT performance: bilateral or unilateral mass shades with different sizes, irregular mass shape, uneven density, and are prone to cystic changes or bleeding. It is often detected by accidental CT examination for other reasons. Once the primary cancer is detected, diagnosis can be confirmed. (3) Adrenal neuroblastoma: rare, more than half of which happens in adrenal medulla, high degree malignant. CT performance: irregular solid tumor mass, CT value is lower than that of muscle tissues. When complications like tumor necrosis, cystic change and bleeding happen, the density will be uneven. The tumor often has envelope. The larger tumors can grow across the center line and easily pierce the envelope and invade the surrounding tissues. 2. MRI examination: it is beneficial to the adrenal pheochromocytoma inspection and differential diagnosis. MRI can provide the histological characteristics that CT cannot. B-ultrasound examination: the first choice for the adrenal tumor screening. Adrenal function tests may include: plasma epinephrine and norepinephrine; urine catecholamines, plasma aldosterone; plasma cortisol, etc. Modern Cancer Hospital Guangzhou reminds that, regular examination in regular hospital is helpful for early detection and timely treatment, which can help effectively control adrenal cancer.